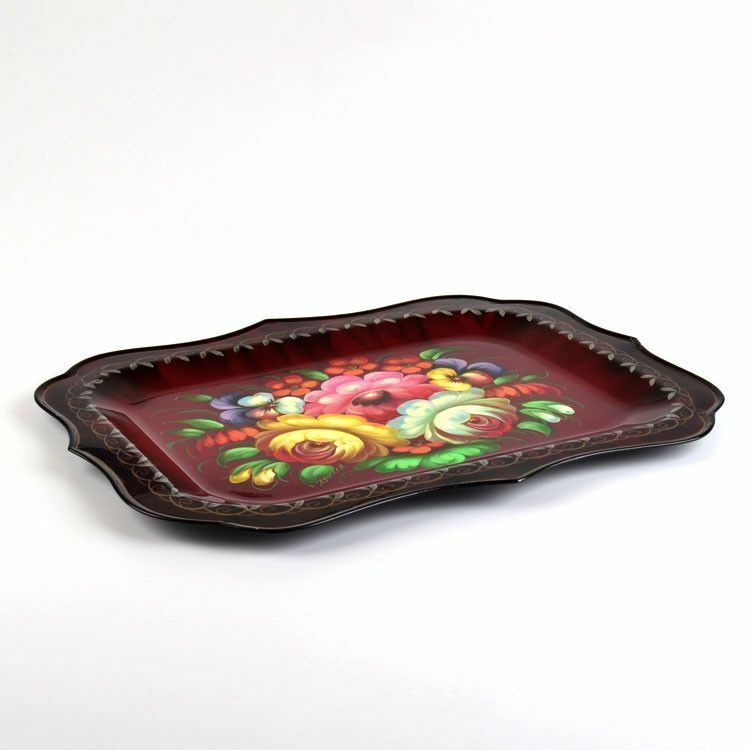 This metal serving platter is Approximately 13 1/2" long x 10 1/2" wide. 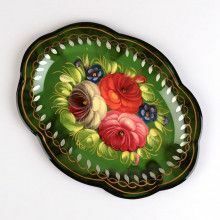 It shows off a beautiful hand painted flowers and leaves design with a gold and silver border. 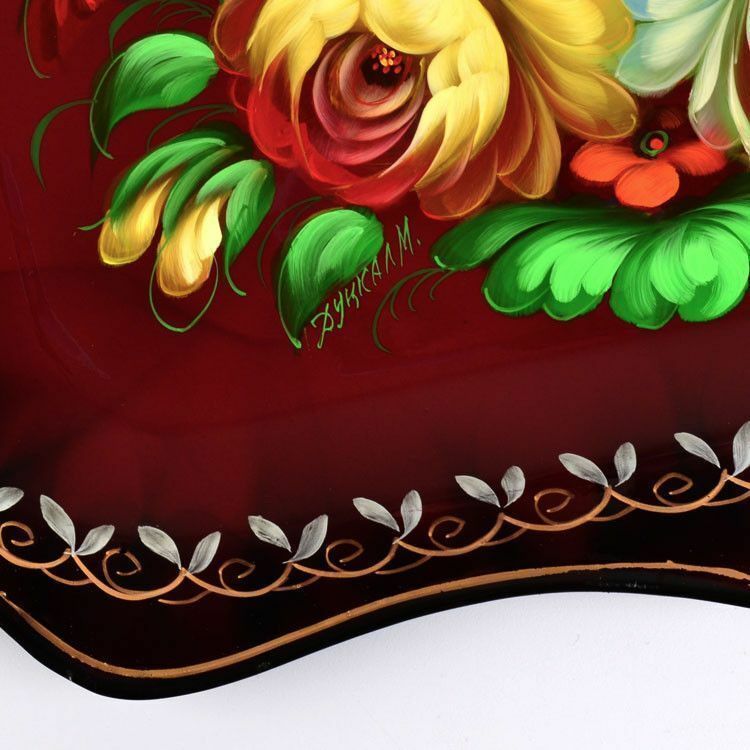 Has a burgundy colored base. 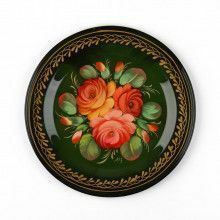 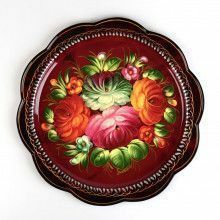 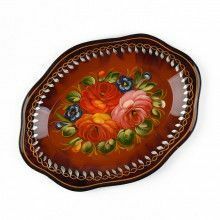 Use a Zhostovo tray for a unique decorating plate on a stand or use it for serving all types of food! 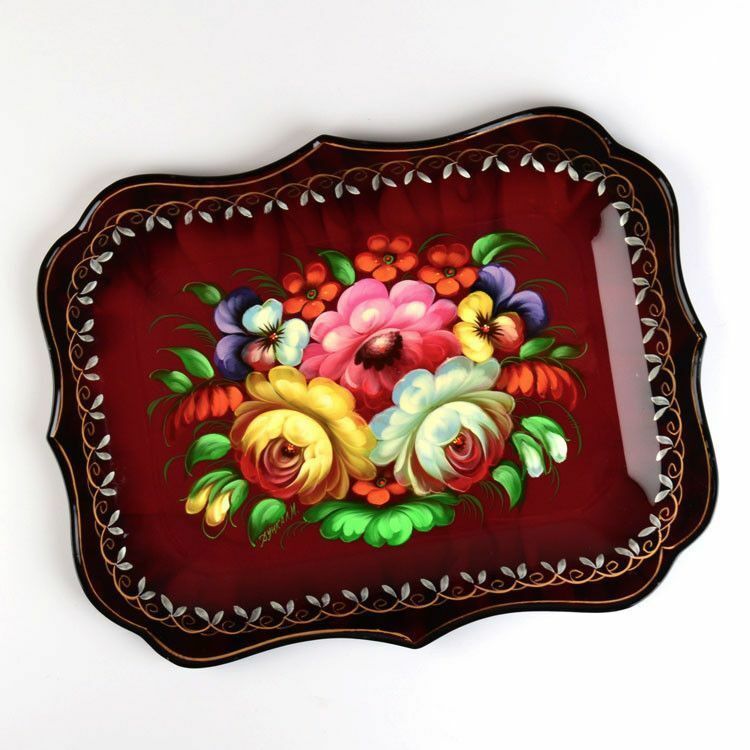 Tray measures 13 1/2" x 10 1/2"